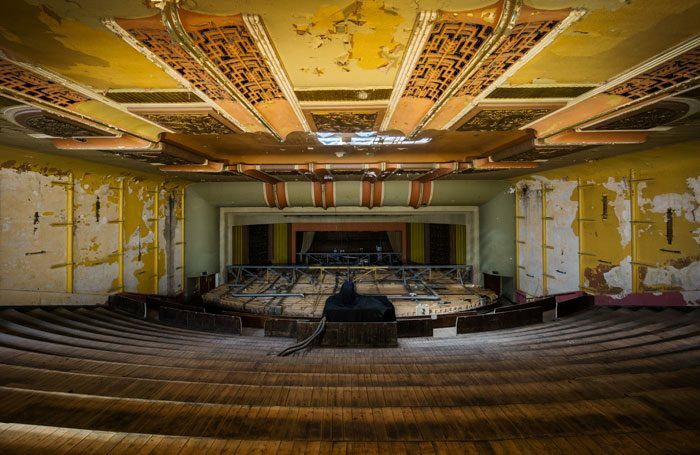 A new east London cultural venue in a former art deco cinema is to open in September. The Savoy Cinema in Dalston has been restored and renamed the Hackney Arts Centre by the same people behind the Village Underground in Shoreditch, London. Built in 1936, the cinema, which its renovators said was now “long forgotten”, has been largely unused since the 1990s, and had become derelict. Now it has been transformed into an arts venue that will offer live music events, theatre, readings, comedy, conversations and film and club nights. Hackney Arts Centre comprises an event space with capacity for 1,000 people standing and a theatre-style space with 750 capacity, as well as a kitchen and bar. HAC will open its doors with a special programme of shows and events in a soft launch from September onwards and will become a fully functioning, multi-arts centre in 2019 and beyond. The initial programme includes live music, comedy, cabaret and talks. A representative from Village Underground confirmed that there were plans to programme more theatre and performing arts in the future. Highlights from the arts programme include: cabaret event 5×15; an event from a group of writers, poets, film-makers and musicians called the Hackney Dissenting Academy; and a new regular comedy event called The HAC Experience. HAC has also announced a partnership with charity Community Music, which will be based inside the building and offers children and young people training in music, arts and other creative disciplines. The arts centre will have a commercial rental strand that will fund the venue’s artistic endeavours. Funders for the project include Nesta’s Arts Impact Fund, Big Issue Invest and Triodos Bank.